The goddess of Fall smiled upon Seattle this Sunday and brought the sun along with her. 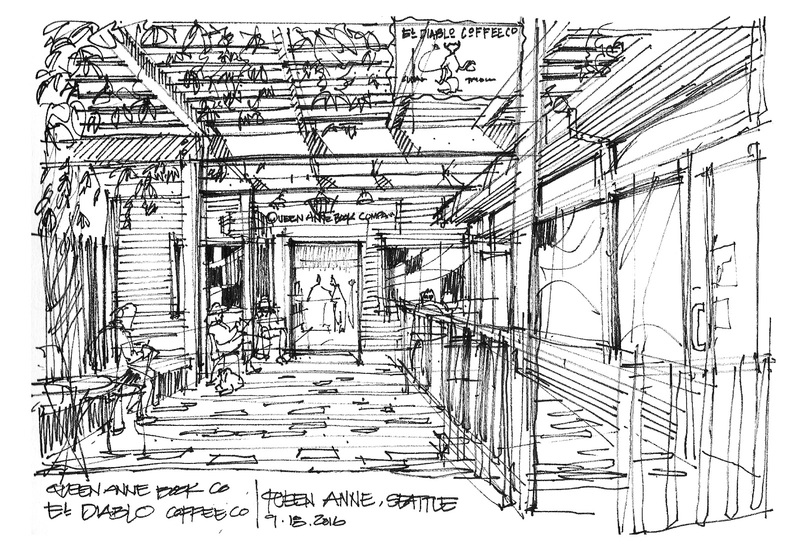 Queen Anne was buzzing as sketchers met up at El Diablo Coffee Company. 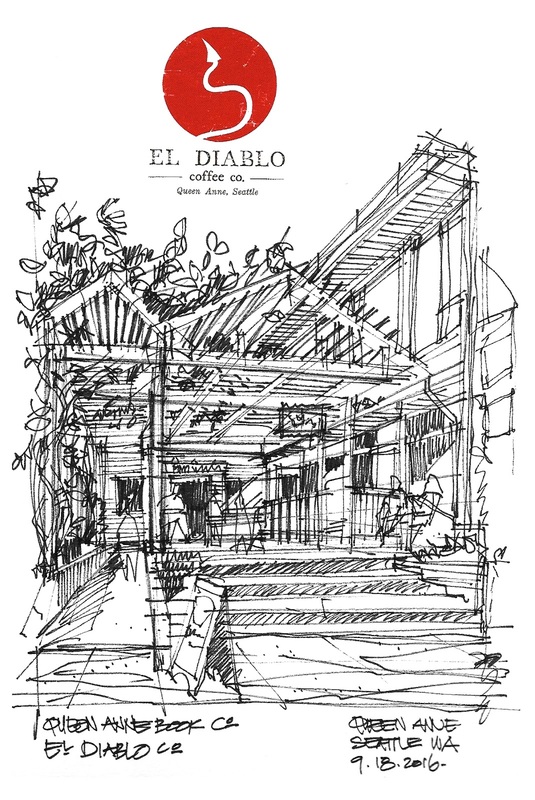 After getting myself a cup of white mocha, I stuck around and sketched the nice shaded outdoor patio. I arrived at the venue rather late, so I decided to stay within close proximity of the cafe. Bethany Presbyterian Church across the street has some interesting architectural details. 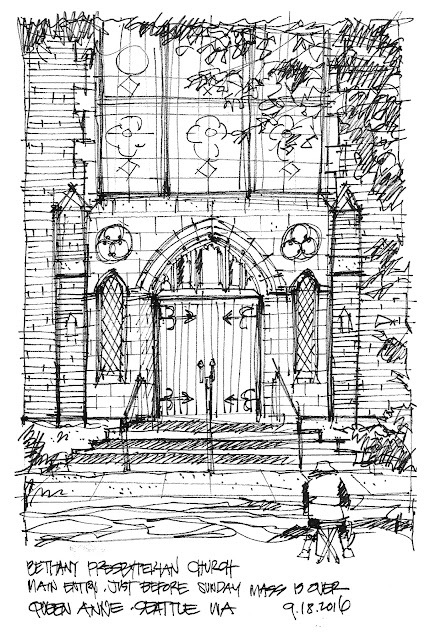 I sketched the main entry door and finish just in time before people started pouring out from the Sunday mass. 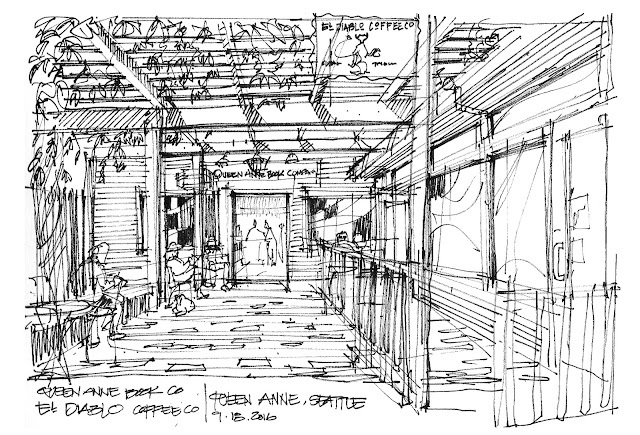 The wooden trellis over the cafe's outdoor patio piqued my interest. With 15 minutes to spare before 'throwdown', I sketched the overall view of the patio along with the trellis from the sidewalk. 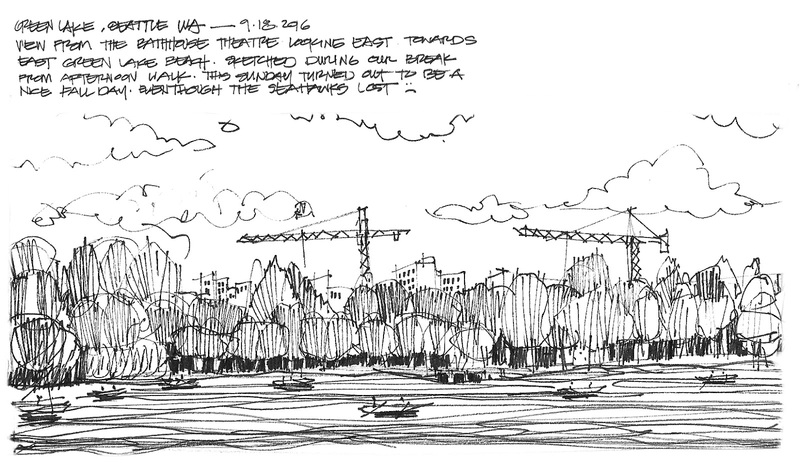 Later in the day, my family and I took a stroll around Green Lake to soak up the remaining sunlight of the day. 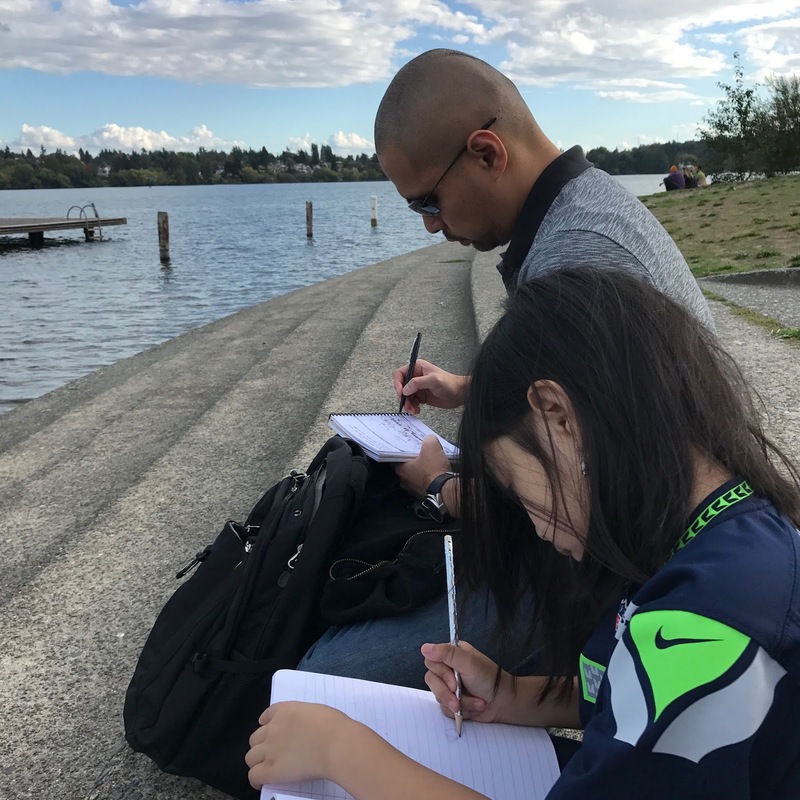 My youngest daughter insisted on bringing her notebook with her. We took a break in front of The Bathhouse Theater and my daughter and I spent some quality time sketching together. It was a great way to end the weekend. These are wonderful sketches. 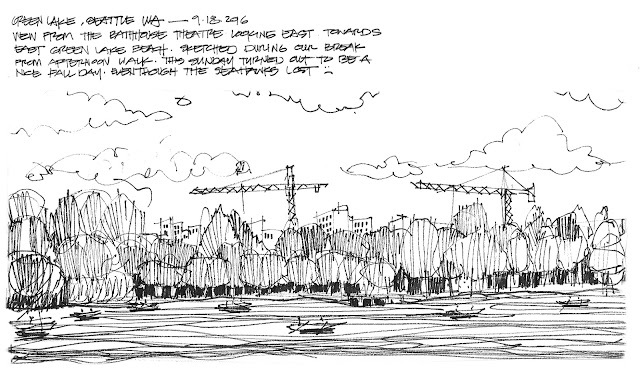 It is also so great that you are raising the next generation to also be a sketcher! Thanks, Kate. I am pretty stoked about being able to go out and sketch with my daughters. Wonderful sketches and love the photo of you and your daughter. Lucky girl! Lucky dad and daughter! Terrific sketches, as always, Andika. Your sketchers always amazed me...and wonderful picture of family!